Architectural photography meets time travel. Look into Boston's history and create photos that show past, present, and even future, side by side. For students who are comfortable with their manual settings, "Boston: Before & After" is an opportunity to create unique photographs in one of America's oldest cities. In this class we'll recreate historic photos of Boston, in todays modern landscape. Then have a chance to combine modern photos with historic photos to create a before & after image. Perfect for those interested in landscape or architectural photography, you'll enhance your understanding of composition, and how distance & focal length help capture buildings and the surrounding city beautifully. Come experience and photograph Boston neighborhoods like never before, making photographs that span past, present, and future. The day will begin with a discussion about historic photography, how to photograph cities and buildings, and how to plan your own historic pictures. 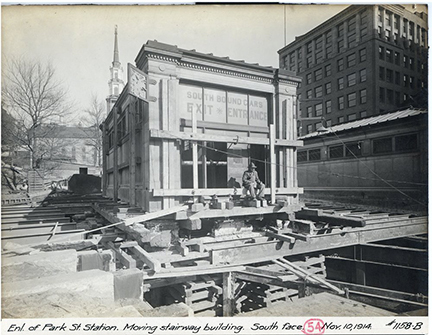 You will also receive a digital packet that includes historic photos of Boston. Using those photos as reference, the class will then walk to several key spots to recreate and photograph historic parts of the city resulting in before-and-after photos. The day will conclude with an editing demonstration to combine photos to create the true “before and after” effect.